X is a Filipino filmmaker and wants to start a movie streaming business for their films, like what Mubi, Netflix and iFlix did. X needs a trustworthy company to work with that is rooted in the Philippines. What can X do? I support Globe because their Free Facebook Messenger is reliable even at 2G connection, making it one of my most important business tools; without it, I can't hit my goals. 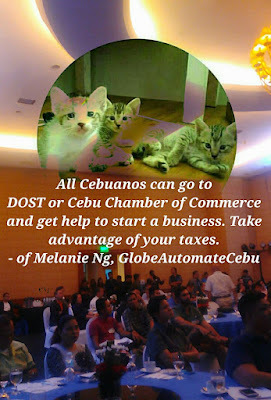 I went to their Automate Business Conference at Waterfront last July 26 as part of their Globe myBusinessAcademy and I learned that they now have Business Solutions to help advertise movie makers like X on Google and Facebook Ads for maximum reach. I can't vouch for how superior Globe's solutions are since I haven't used them yet, but I personally asked Tina Lo, a top furniture exporter who uses Globe's solutions, and she said "so far, so good pa naman ang Globe. They're quick to answer our calls during glitches. " Tina Lo is now the Ambasadress of Globe, so do more research and ask more people who used Globe's business solutions. Never ask a barber if you need a haircut. Meaning, I should never ask a doctor or a lawyer or a filmmaker or a blogger or anyone selling me a product if I need their products. Their incentive to lie is high because they want my money. 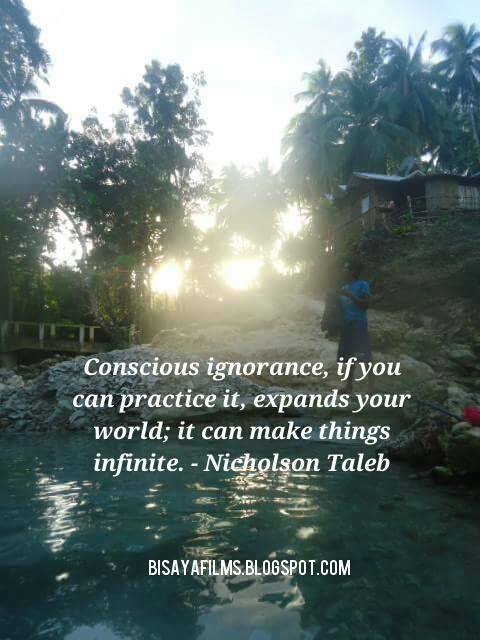 More of Taleb, click HERE . Never stay inside a locked cabin boat when you're in war territory because if a torpedo hits the boat, you're trapped to death. In business, it can mean that X should never put themselves in a business decision that traps them to death. To survive, X should make multiple exits and never put all in one basket, so that if 1 basket fails, the other baskets still make him survive.